SACRAMENTO, California, May 30, 2014 (ENS) – An alliance of eight U.S. states Thursday announced a plan to put 3.3 million zero emission vehicles on the road by the year 2025 and establish a fueling infrastructure to support this number of vehicles. The alliance behind the Multi-State ZEV Action Plan includes: California, Connecticut, Maryland, Massachusetts, New York, Oregon, Rhode Island and Vermont. Their goal is to reduce greenhouse gas and smog-causing emissions by transforming the transportation sector over the next 11 years by encouraging the adoption of ZEVs – plug-in hybrids, battery electric and hydrogen-powered fuel cell electric vehicles. Currently there are just 200,000 ZEVs on U.S. roads. With states on the both the Atlantic and Pacific coasts, the eight partner states account for 27 percent of the nation’s new car sales. At the core of the Multi-State ZEV Action Plan are 11 key actions to be taken by all the partners. The eight states agreed to evaluate the need for, and effectiveness of, monetary incentives to reduce the upfront purchase price of ZEVs and non-monetary incentives, such as access to high-occupancy vehicle lanes, reduced tolls and preferential parking. These states will implement consistent statewide building codes and standards for charging infrastructure and develop streamlined metering options for homes equipped with electric vehicle chargers. They agreed to evaluating opportunities to reduce vehicle operating costs and increase electric system efficiency through time-of-use electricity rates and net metering for electric vehicles, and strengthening the connection between ZEVs and renewable energy. The governors of the eight states began this collaboration with the signing of a Memorandum of Understanding on October 24, 2013. Since the MOU was signed, state regulators, the auto industry and infrastructure developers and other stakeholders have shared information and best practices to help move the effort forward. To date, automakers have rolled out more than two dozen models of plug-in hybrids, battery electric and hydrogen-powered fuel cell vehicles. Sales have doubled over the past year alone, with more than half of those sales occurring in the eight states that signed the October 2013 MOU. The eight-state ZEV Action Plan details steps individual states may take and provides examples of successful existing state programs to improve the experience of ZEV drivers and owners. Affordable, readily available ultra-clean vehicles are critical to reduce greenhouse gas emissions and lessen the impact of climate change, since the transportation sector is one of the nation’s major sources of greenhouse gases. Creating a growing market for ZEVs also provides a range of economic benefits. Electricity is widely available, and costs less than gasoline or diesel on a per-mile basis. 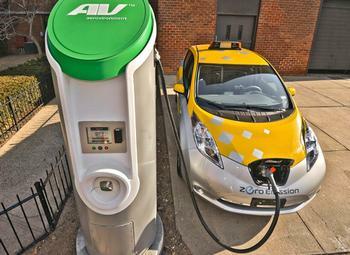 Maintenance costs for a ZEV are also lower over the life of the vehicle. The push for clean vehicles has also brought investment in new business and jobs which will help put the U.S. economy on a more sustainable footing.